And so, another year in film comes to a close. This December 31st, rather than list out some thoughts on every film that I saw during the last year, I thought that it would be better for me to keep things just a bit contained, in line with how I have been approaching things in the last 12 months. So, here’s my top ten for the year followed by a slightly reduced version of my awards. It was actually a very tight race between Moana and Zootropolis to see would get my pick for the best animated Disney film of the year, but the Pacific Islander inspired confines of Moana eventually won out (though, I still want to give very legitimate acclaim to Zootropolis, whose racial allegory seems to be more and more pertinent to our world every day). Seven years after trying and failing to get POC on the map in Disney Princess stories, Ron Clements and John Musker came back to try it again, and this time they really have pulled it off. Moana is a fairly bog-standard narrative on the face of it, with the plot beats and checkpoints of Campbell and Snyder on full display throughout, but it more than makes up for this with the depth of talent on the cast, the production department and in the recording booth. Auli’i Cravalho is a true revelation of the titular Chieftain’s daughter, who sets out to save her world by finding the demi-God Maui, a wonderfully brash and in-your-face Dwayne Johnson. Their journey takes us to all sorts of fun places and great experiences: Jermaine Clement’s scene-stealing crab villain, a Fury Road homage with killer coconut pygmies and a truly impressive lava monster to name but a few. The animation department goes into overdrive to present this Pacific world with some nice sequences meshing the 2D and the 3D, and the music, largely from the pen of man-of-the-hour Lin-Manual Miranda, is truly infectious. The heights that Rogue One has reached on this list may certainly provoke surprise, but Star Wars got me again. A year on from The Force Awakens making it to my #3 slot, Gareth Edwards has come along and propelled a long time ago and a galaxy far, far away up the charts late on in 2016, with a film that really puts the “war” in Star Wars. You have to be able to look past the rampant nostalgia that infects every other scene – surely, evidence of unwanted and unneeded studio interference – but the core of Rogue One is a truly excellent experience, a character driven conflict movie that does Suicide Squad better than Suicide Squad did. The grim, gritty, dirty, mud-splattered tone, from Forest Whitakers’s suicidally disillusioned rebel radical to the unexpectedly dark pattern of the ending, really marks Rogue One out as a film that planted a foot solidly into risky waters, even if the other foot was staying firmly in what was safe and bankable. Felicity Jones does decent work as the lost, maligned Jyn Urso, out to find her father and get the Death Star plans for the increasingly hard-pressed Rebel Alliance, but it’s the others in the cast, especially Diego Luna as the war weary Cassian Andor, Donnie Yen as a stick-wielding Force Monk and Alan Tudyk as sassy droid K-2SO that really bring Rogue One together, making you engage with their plight and the desperation of their quest as we move from thrilling set-piece to thrilling set-piece. The finale – an elongated battle sequence on the ground and in space – is one of Star Wars’ very best in a long time, where Edwards brings together the strength of his direction and the virtues of the script, mixing in the usual sterling work in CGI and music to form the all-round experience that Star Wars has been before and surely will be again. Taking risks and presenting a fine story at the same time, Rogue One gives me renewed hope for a franchise that needs to really bring it home this time next year with VIII. Tom McCarthy’s film is a dark tale, filled with depressing revelations and searing evidence of how far the various arms of civilised society will go to cover up bad news. The few raging against the darkness here, in the form of the Boston Globe’s “Spotlight” team of investigative reporters, are the slim minority, joined only by disillusioned lawyers and ex-priests. But Spotlight itself is still worth seeing, worth enduring even, as the kind of re-creation exercise that proves its worth many times over, continuing to open eyes to some of the worst abuses of power that the Catholic Church has been engaged in, and probably still engages in. And this occurs despite some of the films myriad flaws, chief among them that I can’t really say that it is acted with any great aplomb, merely competently. Veterans like Michael Keaton and Liev Schreiber do the work, and are bolstered by Mark Ruffalo – probably the best of the lot – and Rachel McAdams in the only role of note given to a woman. But Spotlight isn’t really their story – none of them have character arcs that go beyond shallow territory – it’s the story of the abused and the abusers. The principles are merely the cipher. But where Spotlight succeeds is in the way the magnitude of what happened in Boston, and in other parts of America, is slowly parsed out and delivered up to the viewer, until the unrelenting tide leaves you seething with anger. And that’s not some small thing: the best films all make you feel something, be it joy, sadness, horror. Usually its documentaries that make you feel anger, but Spotlight pulls it off. My native country has had its fair share of clerical scandals, and Spotlight brings home why such things should make you furious, in its delicate pacing, its inspired visual direction and tight, workmanlike script. Spotlight’s primary message remains that “if it takes a village to raise a child, it takes a village to abuse one too”, and the film really made me think about how we have become comfortable with a society, governments and structures that are way too quick, eager even, to brush what they can under the carpet. While coming close to docudrama at times, Spotlight is in this list because of the way it made me consider that, and because of the way it reminded me why I am more lapsed than ever nowadays. This is one of the later entries on this list, and one of the most surprising if I am being honest. On the face of it, there is a lot that could conceivably have gone wrong with Clint Eastwood’s depiction of the US Airways 1549 incident, wherein Chesley “Sulley” Sullenberger successfully landed a stricken airliner on the Hudson River. There is the brevity of the incident in question, the lack of distance from the same and the director’s tendency towards the fluttering American flags style of film-making, that resulted in such jingoist dross in the vastly over-rated American Sniper. But Sully is a different animal, skilfully re-telling the story of US Airways 1549 in a very smart and calculated way, by presenting the “forced water landing” from multiple perspectives at several different points in the narrative, and only in one continuous motion right near the end, in an editing choice that, if it doesn’t exactly produce tension, still produces interest and fascination. The plot is wrapped around a largely fictitious NTSB investigation into the landing – nowhere near as vindictive in real-life as the famously libertarian Eastwood depicts it here – and this allows for the right injection of drama, beyond the disturbing PTSD of Sully himself. However, the main thing holding all of the pieces together here is easily Tom Hanks, back giving it socks yet again, as if we could ever forget that he lacked the ability. A Hologram For The King largely failed to make a serious impression earlier this year and I wasn’t incredibly impressed with Bridge Of Spies, but his performance in Sully will remind viewers of his breathless turn in Captain Phillips more than those, with Hanks embodying the quiet heroism and shuffling awkwardness of a man who was just doing his job and is unable to deal with the media circus that erupts around him afterwards. Yes, Laura Linney is bafflingly wasted as Sully’s largely pointless wife character and the way the NTSB is depicted here – in nefariously incompetent terms – really does shine a light on Eastwood’s politics more than anything, but Sully has too much else to recommend it: a fine script, some top-class pacing and editing, a fine supporting cast (nice to see Aaron Eckhart doing good work again) and a great central performance. 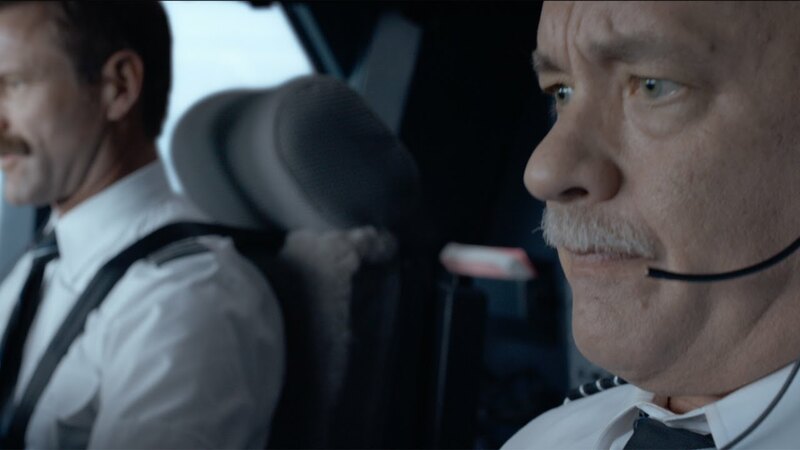 Biopics infest the big screen nowadays, and the tight, contained Sully is a prime example of how to do it right. Two great Irish actors in one picture, what’s not to like? But the eyebrows might be raised by the premise of the film itself, the viewer wondering why it is that two Irishmen are playing two Czechoslovakian resistance fighters in World War Two. 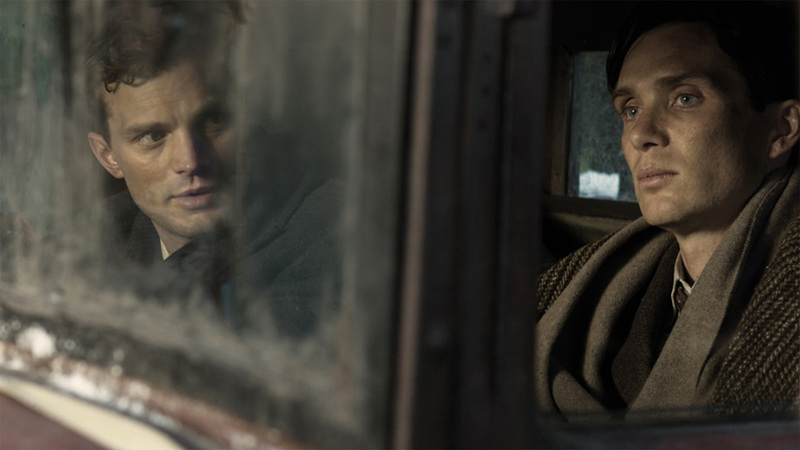 A modern World War II thriller dressed up as an old-school type exercise, Anthropoid enjoys a slow-boil narrative that builds to an unexpected crescendo, and then grimly spends the remainder of its time detailing the aftermath. In that, it has both its predictabilities and its surprises, but Anthropoid manages to avoid most of the pitfalls it could have tripped up in. The rather intense Cillian Murphy, as the much more serious and dutiful Jozef, matches up very well with the slightly more carefree and romantic Jan of Jamie Dornan, a kind of twisted odd couple who have to spend almost every scene they have in the movie in each others company. A concentrated two-hander is the result. Sure, there are two romantic angles to play around with, but they are executed well enough without really damaging that key, central relationship: indeed, Jan’s love for Lenka is played very well as more of a wartime infatuation than anything truly serious, while Jozef’s stalled back and forth with the more icy Marie suits the character. That towering central relationship is the core of Anthropoid, which evolves out into a taut, tense and altogether grim thriller, where the very occasional levity and glimpses of something outside of war in the first two acts gives way to palpable sense of desperation and misery in the last act. No happy endings here, and if the film has a serious flaw it is just that it doesn’t go the whole hog in questioning the morality of the Heydrich assassination, a proper discussion of which may well have catapulted Anthropoid into the stratosphere. Anthropoid isn’t quite a Tinker, Tailor, Soldier, Spy, and lacks the visceral action engagement of the Bourne franchise. But it is a solid production, with strong central performances from the two leads, backed up by an inventive and entertaining narrative structure, that depicts a different side of the Second World War. It stuck with me more than I thought it would, and the people behind the other version of the story, due out in 2017, have a lot to live up to. A film that, in many ways, I never thought I would actually see made, The Siege Of Jadotville is a stirring, emotional and altogether thrilling re-enactment of an event that should be revered in Irish military history, but which has shamefully seen its memory buried deep down in the consciousness of the Irish Army, largely until director Richie Smyth and Jamie Dornan, in line with Netflix, came along to give it a place of prominence. That alone would be enough to make me look kindly on The Siege Of Jadotville. The fact that it is a great film otherwise also helps a lot. Dornan is commanding in the lead role of Pat Quinlan, easing into an unfamiliar accent without many hiccups. He’s ably supported by veterans like Jason O’Mara as his Sergeant, and Guillaume Canet in a small but juicy role as the French mercenary leading the Congolese against the UN peacekeepers. The script is full of both wonderfully tight military writing, and glib Irishness in spades. And the titular event itself is reproduced with an accuracy that surprises, and may actually cause the film to lose points with audiences who might not believe the astonishing incident played out before them. Where the film certainly loses points is in the humdrum performance of Mark Strong as incompetent Irish diplomat Conor Cruise O’Brien and in the score which is so laughably going for a Hanz Zimmer feel that it becomes a distraction at moments. But beyond those problems, The Siege Of Jadotville is a solid and engaging piece of military film-making, that fully deserves a place on the larger film-watching conciousness. It’s exciting without being a cartoon, it’s emotionally impactful without being sentimental and maudlin. It depicts the realities of combat in such a time and place with rigid faithfulness to the accounts of those that were there and, in my eyes, the story being told loses nothing for that. It should be commended for allowing those who fought in Jadotville, still living and those since passed, to be properly and fully honoured for what they did in the service of peace. Many would have agreed with Stallone’s assessment that, for all the ups and downs of the Rocky behemoth, the series ended on a decent note with Balboa in 2006. But Hollywood is an insatiable animal, and getting old properties back on the go is becoming part and parcel of the way studios operate in the 2010’s. 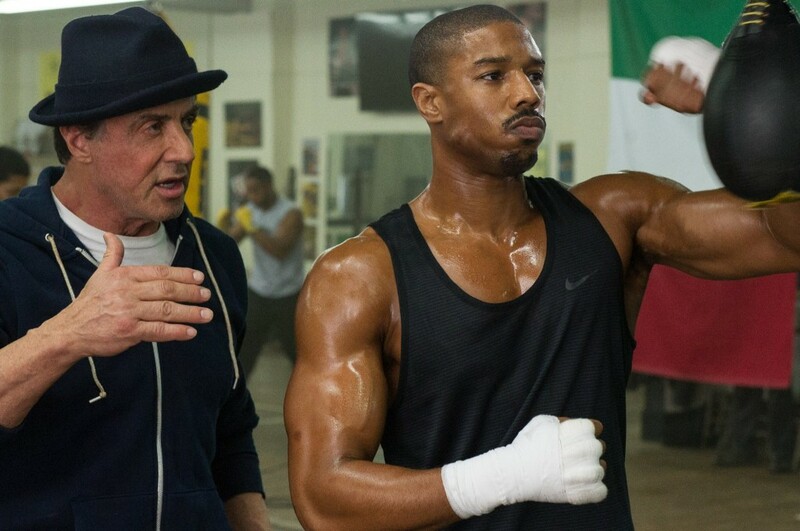 So, Creed, an attempt to both re-invent and revitalise that most famous of boxing films. Director Ryan Coogler, following on from the well-regarded Fruitvale Station, pulls the same stunt as JJ Abrams in many respects, in the creation of something resembling a facsimile, but which succeeds regardless due to the not inconsiderable focus on characterisation and changes in tone and message, in this case wrapping the familiar underdog boxing story in issues of living up to an already existing legacy and racial divides. Driven by an excellent performance from Michael B. Jordan, matched by the returning Stallone, Creed tells an engaging, deep story of a man trying to make good of the unlikely opportunities he has been given, and getting out from under a very long shadow at the same time. In it all there are some well crafted sub-plots: Rocky’s fight against illness, and Donnie’s relationship with the intriguing Bianca, played with understated skill and heart by Tessa Thompson. Creed goes through much of the motions that any audience member will expect, but the quality sheen is evident everywhere, especially in the cinematography of Coogler and Maryse Alberti, and in Coogler’s script, which is a delight at times. A one-shot treatment of a fight around the midpoint is one of the years real stand-out visual moments, as is Creed’s own version of the classic Rocky montage. And while it never stops being a Rocky sequel, it never forgets that it is a film about an African-American from an Africa-American background. Creed is the kind of film that can easily slot in beside Rocky, II and Balboa as one of the better offerings in this now lengthy series. Creed II, when it inevitably comes, is going to be the crucial indicator as to whether this franchise has the legs to keep going: if this director and this cast can be kept on-board, I see little reason why it can’t. If. A succession of duds has marked the Coen Brothers recently, in my eyes, but these two are far too talented to deserve my scorn for too long. Making a movie about the movies is always going to be potentially dodgy territory – too often it becomes a sycophantic and inaccessible exercise – but if I was to pick a director or directors whom I would trust with such a project, the people behind O Brother, Where Art Thou?, No Country For Old Men and Miller’s Crossing would be up there. And boy do they pull it off with Hail, Caesar!, a film that showcases a wonderful character journey for Josh Brolin’s Eddie Mannix, while serving as a love letter to an era of Hollywood film-making so long past it’s almost mythical. Swords and sandals, toe-tapping musicals, choreographed underwater dancing, this is Hollywood at its height, before the studio system wavered amid government interference and the Red Scare, with the dichotomy between Hollywood and communism one of the films key explorations. But the setting is just a part of it: through Mannix’ 24 hour odyssey of problem solving, we get so many wonderful moments that it’s hard to take them all in, a personal favourite being Alden Ehrenreich’s difficult transition from singing cowboy to period drama lead (Who would have thought that a line like “It’s…complicated” would be one of the funniest of the year?). And the rock at the heart of it is in Josh Brolin’s magnetic performance as the problem solver Mannix, balancing his desire for job stability with his desire to make an excellent religious picture throughout the running time, even while he deals with never ending emergencies. While the film does its damndest to make you laugh (and succeeds) it is, in a larger sense, a tribute to the power of cinema to affect us, and to the personalities who create, mould and then use that power. Combined with an engaging and hilarious script, strong camera work, and some expert pacing, the Coen’s have another film that they can place confidently on their top shelf. 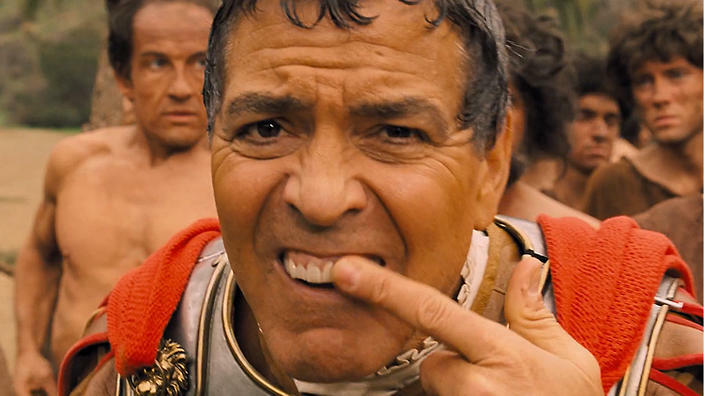 Baird Whitlock (George Clooney) in Hail Caesar! The war movie is a genre suffering a bit of a crisis at the moment, with the most well-noted efforts being of the jingoistic and often frustratingly inaccurate kind, The Lone Survivor’s and American Sniper’s of today. Leave it to the Danes to give 2016 the kind of war film that really does belong in the top echelons of the genre, frustrating only in how little-noticed it has been. 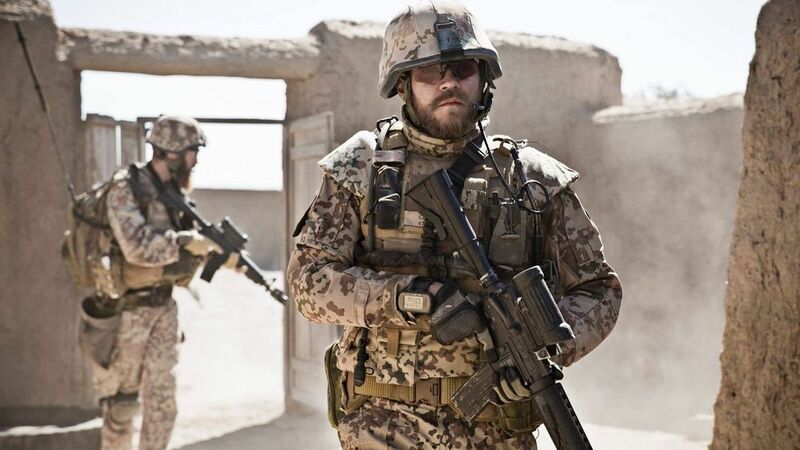 Naturally, the story of Danish involvement in ISAF is not likely to garner much interest here or stateside, but they really should pay attention, because Tobias Lindholm puts a lot of people to shame here. Krigen is a tale that just truly gets the dichotomy of a marriage and a family divided by war, where the cares and responsibilities of a infantry company can be easily compared to the cares and responsibilities of the home front. Pilou Asbæk’s Claus and Tuva Novotny’s Maria both face the most terrible kind of problems in the course of Krigen, on physical and emotional levels, and the film never makes us feel like one’s problems are more or less important than the other. And that’s before we hit the narrative turning mid-point. That a film like this can be both an effective war story, a family drama and a tense courtroom setpiece speaks highly of the skills of Lindholm, also the screenwriter. In its later half, Krigen becomes a thoughtful, mature but never judgemental examination of military ethics and what we expect of men and women in service. We don’t know who to support in that courtroom confrontation, and we don’t know who to jeer: for once, in a film, this is not necessarily a bad thing. There are no easy answers to be found and no truly satisfying resolutions, but instead, we have something better: Krigen leaves the audience thinking at the end, and that’s rare enough in this genre nowadays. This really is one of the great all-time war movies, and I regret that more people won’t see it because of its background and language, because its the exact kind of war film, a real thinker, that should be getting the kind of attention typically given to aforementioned dross. Initially, I would not have thought that John Carney’s 1980’s set semi-musical would be a film of the year contender, even if the director’s previous efforts were top notch. And one could easily be turned off by the basic outline of Sing Street, with its awkward romantic plot, nostalgic odes to the eighties and, once you get to it, its incredibly sappy ending that really should be anathema to a movie viewer like me, who appreciates gritty realism more than idle fantasy. But Sing Street is great because of those things. The awkward romance between Ferdia Walsh-Peelo’s Conor and Lucy Boynton’s Raphina is a wonderful experience to see evolve on screen. The eighties are brought to life in way that is both nostalgia bait but endearingly reverential, in every bad hair style, brutal Christian Brother and nod to a time when penury and immigration were natural choices affecting so many Irish people in some way. And that ending, while cliche to the hilt, fits perfectly with the story that came before, one that puts teenage idealism and optimism centre stage, without apologies. And there is the music of course, with the titular band, and Jack Reynor’s wonderfully portrayed elder brother character, proceeding to give the audience a musical tour of eighties genres through a succession of marvelous original numbers, not least Conor’s romantic ode to Raphina “Up” or the impressively upbeat and infectiously enthusiastic “Drive It Like You Stole It”. Carney blends the music in with his story expertly, and Sing Street is all the better for it, from our first glimpse of Duran Duran on Top Of The Pops all the way to Adam Levine’s wonderful closing number “Go Now”. Sing Street is a really great film. It’s rare that a movie has the effect on me that it had, insofar as it combined an impressive array of genres and emotional varieties, and managed to make them all work seamlessly. It’s a powerfully moving film, a fantastically funny film, a deep and thought-provoking film. It is a film that will make you laugh, and might well make you cry, and maybe at the same time too. It is the film of the year. And so, to the awards. Awarded to the actor who has impressed the most throughout the year in leading roles. I think I judge Walsh-Peelo’s debut higher than some of the other luminaries since it was his first effort on this kind of stage and because he had such a job to do: sharing a screen with veterans like Aidan Gillian and Maria Doyle Kennedy, turning his romance with Lucy Boynton’s Raphina into something beautiful to watch, singing and embodying the sort of teenage optimism that makes mincemeat of cynics. Walsh-Peelo does that and more. Awarded to the actor who has impressed the most throughout the year in roles other than the lead. This might divide people, considering his limited time on screen, but there was something about Ehrenreich’s role in the Coen Brothers’ romp that elevated the film even higher than it was already going. His scene with Ralph Fiennes was one of the funniest of the year, and certainly had the best punchline, but more than that he effectively played a Hollywood clown unhappy with his status, struggling to adapt into something more. Awarded to the actress who has impressed the most throughout the year in leading roles. As always, the paucity of women in true leading roles means the options are limited here, but Boynton’s mesmerising portrayal of lost, lonely Raphina in Sing Street was always going to take it. She’s so wonderful opposite Walsh-Peelo, giving the role this wonderful “happy sad” energy that makes the story of their relationship all the more engaging. Awarded to the actress who has most impressed throughout the year in roles other than the lead. This was a hard one to pick, but in the end I had to go with Thompson, who took a character who could easily have been throwaway in Creed, alongside Michael B. Jordan’s commanding lead and Sylvester Stallone’s legendary support, and turned it into the beating heart of the movie. Awarded to the best cast, generally, of any film during the year. The Coens assembled a typically mesmerising lot for this, and while there may be a few, like Jonah Hill, who could have used more time, there isn’t a single person giving anything less than their all. Awarded to the best director of the year. A tough one this year, but the right choice I feel. I’ve had my ups and downs with the Coen’s, but Hail, Caesar! was a true visual delight in nearly every respect, from the way that the backlots of Golden Era Hollywood were recreated to an array of brilliantly constructed scenes. Awarded to the film that has the best production values of the year, in terms of sets, props and other associated elements. Star Wars might just win this one from now until the sun goes out, and the reasons are obvious: the film’s are tasked with presenting a universe far, far away, and never fail to do so in any other way other than brilliantly. Awarded to the film with the best use of computer generated imagery and graphics. It was a rough year for CGI heavy movies, with just one of the below getting inside my top ten. The winner should be no surprise, from a brilliantly recreated Peter Cushing to that spectacular closing space battle. Awarded to the film with the best instrumental (non-lyrical) music of the year. This is sort of a default win, because in terms of scores that resonate and stayed with me, this was a flat enough year. Giacchino’s evolution of John Williams’ themes just about takes the nod. Awarded to the film with the best songs, generally, of the year. This won’t come as much of a shock. From the classic hits assembled for mood to the original numbers that pepper the narrative, Sing Street is a musical triumph through and through. Awarded to the best song created for a film of the year. It was always going to be Sing Street, and it was always going to be this or the similarly brilliant “Drive It Like You Stole It”. “Up” gets the nod because, like any great love song, its the sort of tune that makes you picture the special someone in your life. Awarded to the best script adapted from another source of the year. 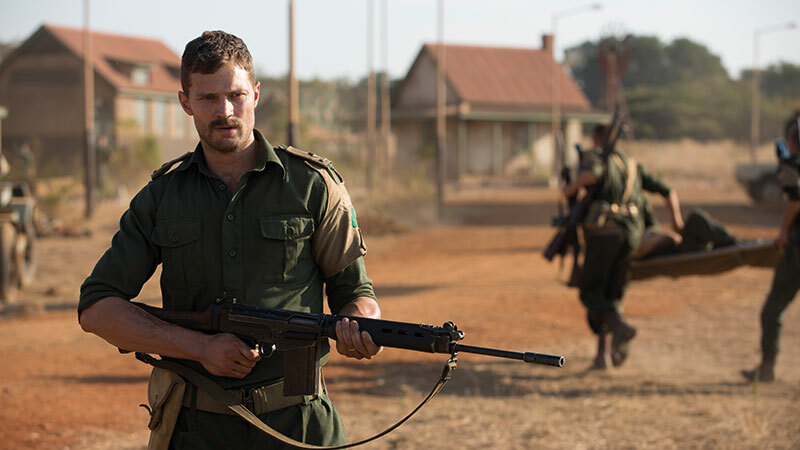 Adapted from Declan Power’s book, quintessentially Irish and oozing with military fervour, the script is an under-rated part of what made The Siege Of Jadotville what it was, and played a big role in making the depiction of the battle what it was too. Awarded to the best original script of the year. Here is the Ireland of the eighties – in its unemployment, its emigration, its hopes, fears, romances and music – brought to life in words filled with reverence and heart. Awarded to the best camerawork of any film of the year. In every look at the genres of Golden Age Hollywood and in every swoop over the studios that made it what it is, the Coen’s, with Roger Deakins, showcased why they are regarded as one of the best directorial options in the business. Awarded to the film with the best combined make-up, hairstyling and costuming work of the year. The Star Wars team never fails to bring the intricacies of its universe to life in every alien design, in every clothing choice and every minor detail. Awarded to the best comedic film of the year. Awarded to the best animated film of the year. Awarded to the best romantic film of the year. Awarded to the best science fiction film of the year. Awarded to the best film based on a comic book/graphic novel of the year. Awarded to the best non-fiction film with a documentarian focus. Awarded to the best historical film of the year. Awarded to the best Irish film of the year. Awarded to the best, non-action, scene of the year. Awarded to the best action/fight scene of the year. Awarded to the best large-scale battle scene of the year. Awarded to the best written and delivered line(s) of the year. Awarded to the best single set-piece sequence or segment of the year. Awarded to the year’s best presented protagonist character. Awarded to the year’s best presented antagonist character. NA – No good candidates this year. More on this at a later date. Awarded to the actor/actress who gives the best performance of an otherwise bad movie. Awarded to the best film in the shortest running time. Awarded to a film that is still good despite its plot holes. Awarded to a film that is still good despite its clichéd elements. Awarded to the film with the best romantic plot or sub-plot. Awarded to the best world/universe building within a film. Awarded to the best sequel, reboot or remake of the year. Awarded to the film that features the best use of female characters. Awarded to the worst movie idea that turned good. Awarded to the film that has been rated too lowly by the critical community. Awarded to the film with the best trailer(s) of the year. Awarded to the film with the single best CGI scene or moment. That’s all from me for 2016, and I’ll see you on the other side. (All images are copyright of Walt Disney Studios Motion Pictures, Open Road Films, Warner Bros. Pictures, Bleeker Street, Netflix, Metro-Goldwyn-Meyers Pictures, Universal Pictures, Nordisk Film Distribution and The Weinstein Company). This entry was posted in Reviews, TV/Movies and tagged 2016, awards, film, movies, review, top ten. Bookmark the permalink.